LSU Shreveport Greek organizations will be having a formal rush for the Fall 2016 semester. All Greek rush events will be hosted on campus. Chelsea King, Assistant Director of Student Activities and Recreational Sports, issued more information on the upcoming Greek activities. “All rush activity is done on campus and all bids will be given out on the given day,” King said. King chose to have the Greeks at LSUS do a formal rush because it is traditional with most schools. “It is more organized,” King said. “The rush process itself is not as much of a liability, because all activities are on campus. The formal rush encourages the Greeks to be more creative as well. The Greeks are limited to the facilities on campus during a formal rush. They are also limited in the types of activities they can host. All rush events are required to end by 9 p.m. King’s overall goal is to make things easier for the future Greek pledgers. “This puts us in the position to have a seamless transition whenever we decide to bring more Greek organizations, as it pertains to Panhellenic Council,” King said. King oversees all LSUS Greek organizations. She graduated from Southern Arkansas University with a Bachelor of Science in Education. 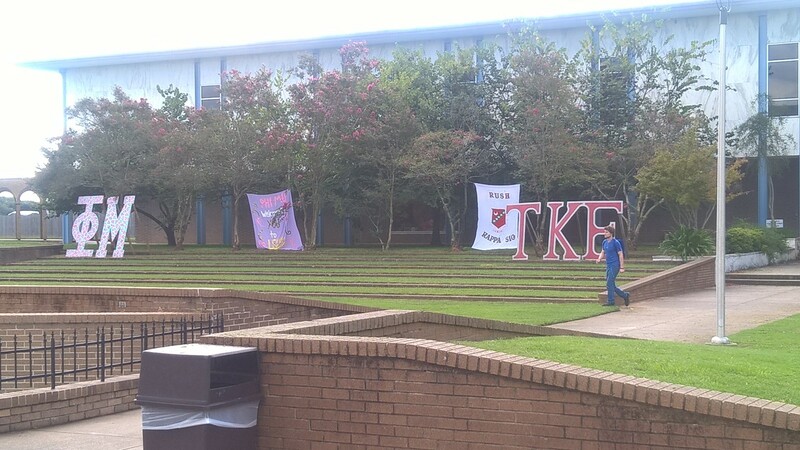 King is an active member of Delta Sigma Theta, Inc.
LSUS currently has 10 Greek organizations. The Greeks can also be inducted into Order of Omega. This is an honor society only available for Greek members. King encourages current Greeks to become more visual around campus. She also emphasizes that the formal rush will be the start of more Greek unity and be an addition to the school pride.